While Aaron Judge continues to hit home runs for the New York Yankees in spring training, it’s the less talked about players that deserve recognition at this point in the offseason. We expect players like Judge to perform, but youngsters such as Domingo German are more developmental projects. German finished 2018 with a 5.57 ERA but has dominated the Grapefruit League with a 2.35 ERA over 7.2 innings. While the sample size is certainly small, he’s been worked in for short spells to gauge his readiness to take his game to the next level. The 26-year-old is one of the league’s premier strikeout artists, ranking 9th best in the MLB last year in regard to strikeout rate. Both his curveball and changeup are intimidating, generating 20.08% and 18.71% whiff rates against batters. His impressive skill-set is only valuable when he’s confident and accurate. When his game is off German tends to throw meatballs, which attests to his 40.4% fly-ball rate. Veering away from those bad tendencies take time and practice, but he’s looked great so far this spring. On Friday, German tossed four shutout innings, allowing two hits. He struck out six batters during his time on the mound – so essentially he struck out two innings worth of batters. That’s what the righty can bring to the table on his better days. With Luis Severino reportedly out until May and CC Sabathia aiming for an April return, German will undoubtedly be slotted into a starting role where he will fill in towards the back of the rotation. He will likely be inserted as the No. 4-5 starter behind Masahiro Tanaka, James Paxton, J.A. Happ, and potentially Luis Cessa. German has all of the tools to come in and act as a stop gap for injured regulars or rotate in for fatigue purposes, but I wouldn’t rule him out when it comes to pitching in meaningful games down the road. He’s developing nicely at this point in his career and he could be in line to handle a consistent starting role in 2020. 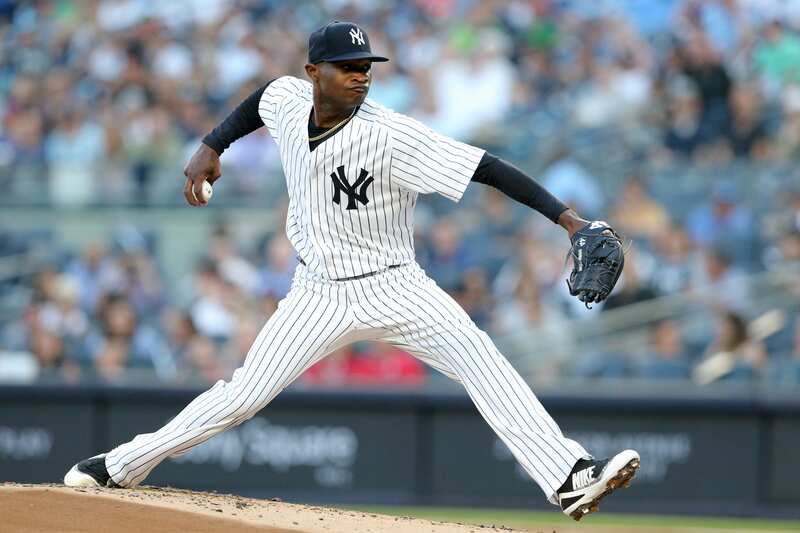 #Yankees rotation hopeful Domingo German worked four scoreless today vs. Boston. He owns a 1.54 ERA in 11 2/3 spring innings, with 18 strikeouts. Boone: "He's in a way better place with repeating his delivery. If he does that, the stuff leaps off the screen with him." New York Yankees: Can Gleyber Torres Build Upon His Stellar Rookie Season?